This is the second of 4 posts on Sheets. Click here for the introduction to sheets. Title Blocks are one of those thankless but vital tasks. Done right, no one will notice. Done incorrectly or not effectively, they can be tedious and add significant time even to just one project. Revit has a special family called Title Block which is not unlike standard families but contains some additional features that are specific to title blocks, the revision schedule being the most notable. To get started, select new and choose Title Block. You will be prompted to select a template for the title block. 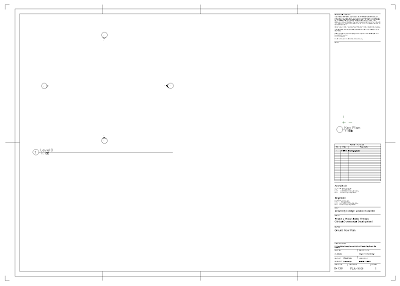 Out of the box, you have some simple templates which are basically outlines of the sheet at the selected size. For this exercise, select A1 metric. You will now be presented with a very basic title block which will be 4 lines making up the outline of a metric sheet of 841mm wide x 594mm high. 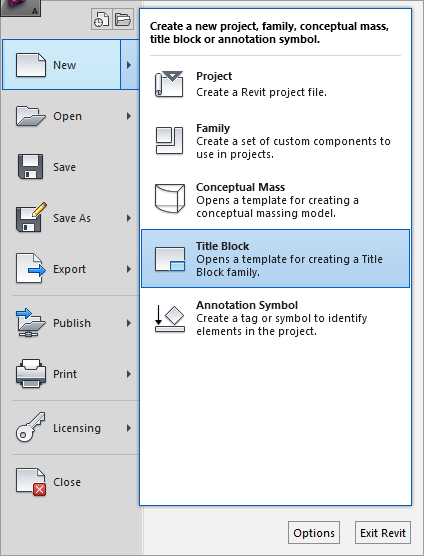 If you have an existing CAD Title Block, you can import it into Revit which will save you a lot of time creating one from scratch. To do this, click Import CAD from the Insert panel. Select the CAD file. Make sue Colors is set to Black and White and Positioning is set to Center to Center. If the CAD file is 841mm x 594mm high in dimension, it should be placed exactly on top of the A1 metric box. In order to allow you to edit the contents of the imported CAD file, you will need to do a Full Explode on it. 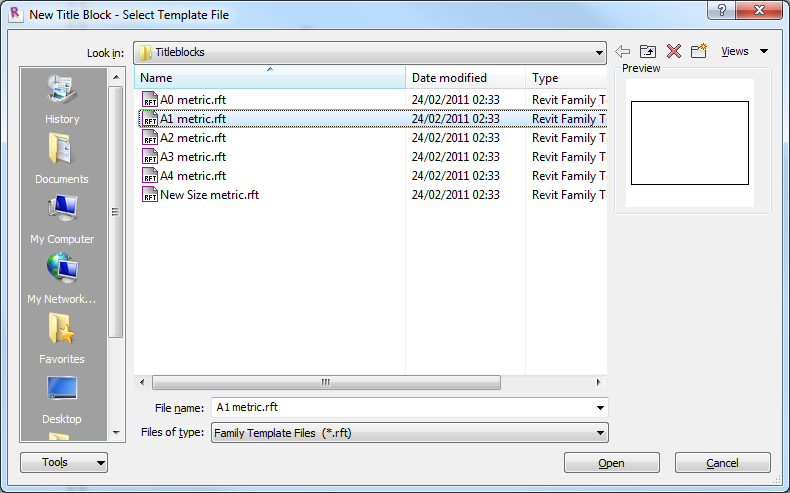 To do this select the imported CAD file and select Full Explode from the Explode pull-down button in the modify panel. If you are starting from scratch, you will need a few basic editing tools to create a title block. Firstly you will need to offset from the edge of the A1 boundary as most printers will not print to the edge of the paper. The offset varies between printers and plotters, so it is best to offset sufficiently so as to be safe for the majority of printers. I have found 17mm all around to be sufficient. You can test this out very quickly by printing the title block. If any of the inner lines are cut off, adjust inwards until they print. If you have used the 17mm offset, you will now have a bounding box of 807mm x 560mm. Tip: test for print reductions also e.g. A1 to A3 on a laser printer. I prefer to have mitered corners indicating the edge of the sheet rather than a bounding box. I have drawn lines 10mm long on each corner and then I turned off the visibility for the outer box lines by un-ticking the Visible option in the properties palette. I have also added lines indicating the positions for the folds. The design of the title sheet is up to you and can be completed using lines and editing tools such as copy and offset. You can also use regions for hatched areas and insert images for logos. Tip: If you omit any color and keep all entities and images to black or gray scale, you could save money on printing costs. If you have started from scratch, you will need to add text and labels. If you imported a CAD file, you should clean up the text styles and replace the attributes with labels. Labels are like attributes only smarter. 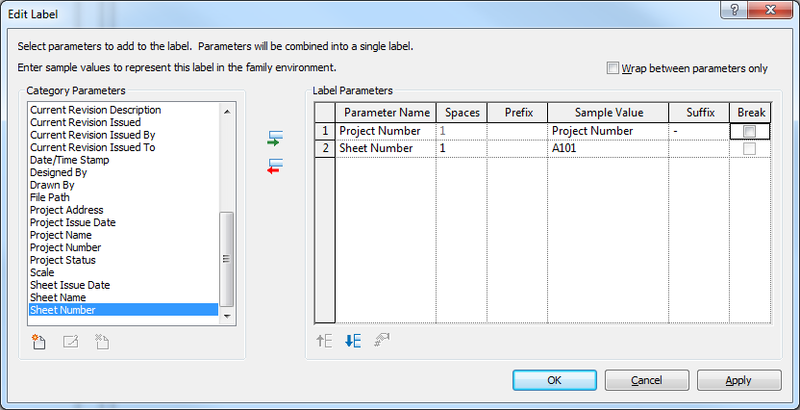 Text or Labels can be inserted from the Home panel. You can change the type using the the pull-down list from the Properties palette. If you started from scratch, you will have two basic types, 8mm and 12mm. 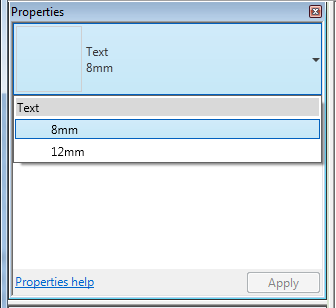 If you imported a CAD file, you will have a range matching the text style in the CAD file which you may want to clean up by renaming the styles and/or reducing the number of styles used. Text and label styles can be created by selecting Text or Label from the Home panel, select a type from the pull-down list, select Edit Type and then Duplicate that type. You will be prompted to give the new type a name. You can simply follow the same format by naming the 2mm text as 2mm or better still use your standards for naming text styles if you have one. Text should be used for all static information such as notes, your address, phone number, etc. Labels are used to place dynamic information. Once you place the label you will be prompted to select parameters to use. 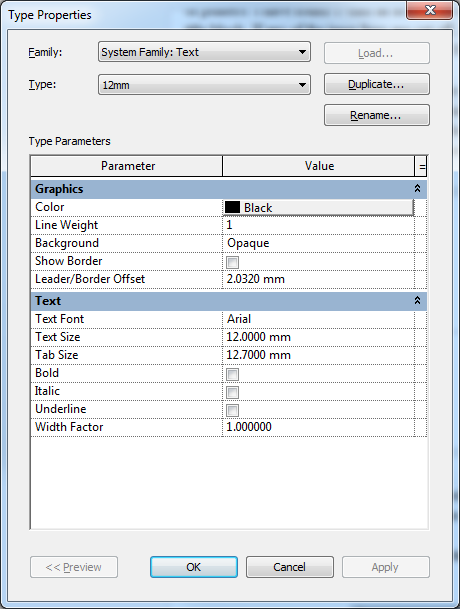 Like Sheets, there are built in parameters and you also have the option to add custom parameters. I will deal with the built in parameters first. The following table shows where the values for the parameters is derived. I have omitted Assemblies for now as this is a new feature to 2012 and deserves it's own post. As you can see in the table above, there are 5 locations where the values can be derived. Project Information: This is global to the model. If you change any of these values, they will change on all sheets in the model. Project Information can be edited from the Manage panel. 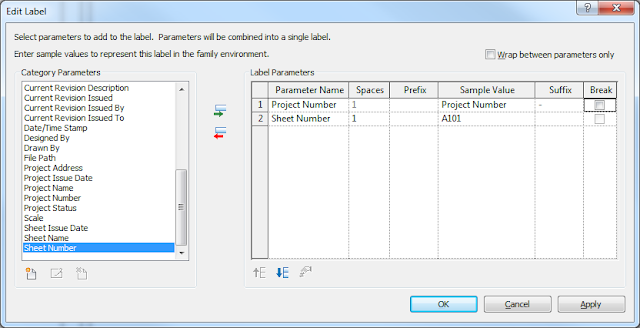 Revit System Information - Like fields in Word or Excel, this data is built in to Revit. Sheet - The information in the properties of the selected sheet. Revisions - information from the most recent revision is used. 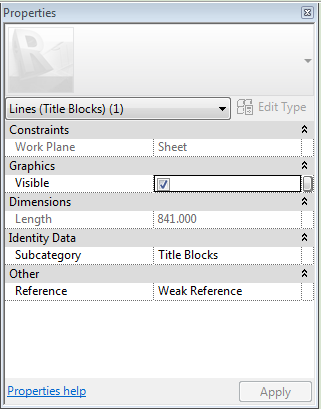 Revisions for a selected sheet can be edited from the Sheet Composition section of the View panel. Views in the Sheet - The scale is derived automatically from the views. If a single view in placed on a sheet, then the scale is shown e.g. 1:50 otherwise 'As Indicated' is shown. Each parameter can be added individually or you can add more than one parameter with an optional Prefix or suffix to each. For example The project Number can be combined with the Sheet Number e.g. 12001-A101. Like Text, labels will be placed on the current Label Style which can be changed at any time by selecting the label and selecting a different style from the pull-down on the properties palette. Once your title block is complete, save it. 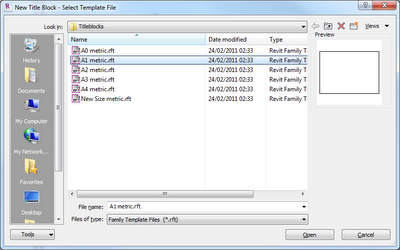 Then you can place it in your project by selecting Load into project from the modify panel. For future reference, the title block can be located in Families -> Annotation Symbols in the project Browser. Enough for one post. In the next post, I will focus on the Revision Schedule which is super cool. Hi, I need to know how can I make visible or not the view scale in the sheet... as a parameter that I can choose in certain viewports only. 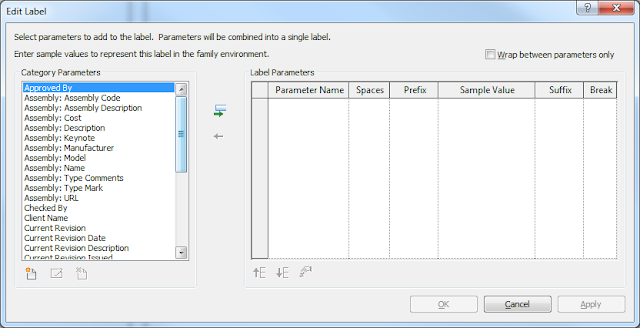 Do I have to create that parameter?